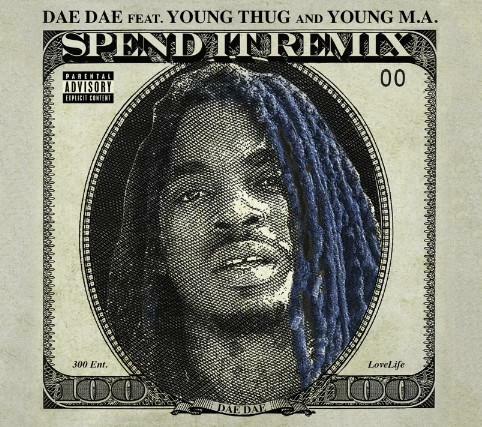 Dae Dae recruits Thug and M.A for the "Spend It" remix. 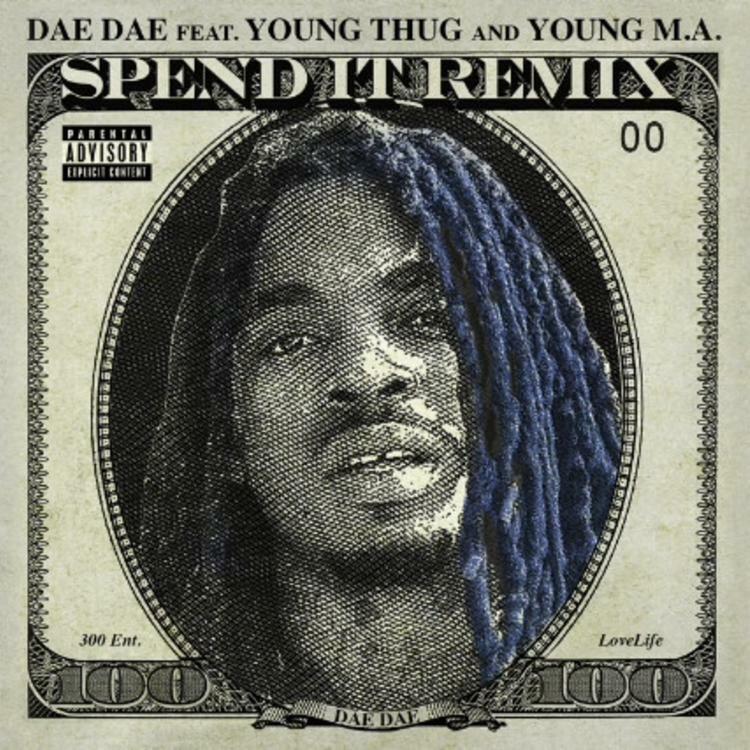 Dae Dae's "Wat U Mean" was a huge breakthrough for the Atlanta rapper, and "Spend It" is a worthy follow-up which has now received it's inevitable remix. The features on this one are perfectly selected, recruiting fellow ATL rapper Young Thug for a verse, as well as the Brooklyn-based Young M.A, who has also had a big breakthrough year with the success of her "OOOUUU" single. Everyone sounds right at home on the creeping trap beat that deceptively danceable. The release follows Dae Dae's very strong new mixtape with London On Da Track, The DefAnition, which is sure to spawn some hits of its own.